Dennis Gentilin is the Founding Director of Human Systems Advisory, a research-based consulting firm that believes the majority of conduct issues within organisations are not caused by ineffective formal systems, but rather by ineffective human systems. It is by strengthening their human systems that organisations not only increase their ethical resilience, but create the conditions that feed future prosperity. Early in his career he was publicly named as a “whistleblower” in an FX trading scandal, an incident that was the catalyst for his interest in human and organisational behaviour. Gentilin is the author of The Origins of Ethical Failure and has appeared on the BBC’s "Business Matters" program. He contributes to blogs, newspapers and journals both in Australia and overseas on the topics of ethics, leadership and organisational purpose. He is an honorary fellow at the Centre for Ethical Leadership, an adjunct fellow at Macquarie University, and holds degrees in psychology, and banking and finance. Steve van Aperen is an author, speaker, media commentator and trainer. He is known as an expert in the field of behavioral interviewing, reading body language, detecting deception and changing behaviors through rapid induction hypnosis. He has conducted behavioral interviews on 68 homicide and 2 serial killer investigations and consults his services to Fortune 500 companies, police departments, intelligence agencies and government departments throughout the world on how to read body language and detect deception by analyzing verbal, nonverbal and paralinguistic behaviors. Van Aperen has appeared on CNN, Access Hollywood, The News Room and many other programs and is affectionately referred to as the “The Human Lie Detector”. As a former police officer having trained with the FBI, LAPD and the U.S. Secret Service he has emerged as a leading authority on reading and analyzing human behavior. Today he devotes his knowledge to helping police departments, intelligence agencies, investigators and corporations in how to read body language and analyze the content and structure language when people engage in deception. Tony Kwok has more than 40 years of experience in the anti-corruption field. He joined the Hong Kong Independent Commission Against Corruption (ICAC) shortly after its inception in 1975 and fought to transform Hong Kong from a city of corruption. Kwok was appointed as the first local Deputy Commissioner and Head of Operations in 1996, and successfully led the Commission through the smooth transition of sovereignty from a British Colony to China in 1997, despite international pessimism. While serving in ICAC, he led a joint ICAC/Police Task Force with 30 officers to investigate the collapse of the third largest local bank in Hong Kong. This investigation uncovered a HK$3 billion (USD385M) fraud resulting in five convictions, including the three top management positions of the bank. The case also acted as catalyst in the formation of the Hong Kong Monetary Authority, paving the way to enable Hong Kong to become the third largest financial centre in the world. He was subsequently awarded a Governor Commendation for his leadership and professional ability in this case. Kwok was awarded the Hong Kong ICAC Medal for Distinguished Service (IDS) in 1998 and the Silver Bauhinia Star (SBS) in 2002. He was conferred with the Honorary University Fellowship by The Open University of Hong Kong in 2013 and the Honorary Fellowship by the Hong Kong University School of Professional and Continuing Education in 2014 respectively. Since his retirement, he has been invited to visit 25 countries around the world and more than 30 provinces and cities in the Mainland to give lectures or provide anti-corruption consultancy. He also assisted a number of countries to set up their new anti-corruption agencies. Ian Yip has worked with organisations globally on cybersecurity initiatives and projects, particularly in the areas of strategy and transformation, data protection, threat management, and governance, risk and compliance. Yip has held positions across the Asia-Pacific region and Europe in some of the world's leading companies including McAfee, EY and IBM. He has built, led and managed teams with multi-million-dollar sales, operational and delivery targets, defined and executed go-to-market strategies based on market analysis and needs, set corporate and product strategy, brought new products to market, run major cyber transformation programs and engagements, delivered keynote presentations at industry events, been interviewed and quoted in the media and contributed articles to a variety of publications. Kate McClymont is an investigative journalist with the Sydney Morning Herald. She is a five-time winner of journalism’s most prestigious award, the Walkley, including the Gold Walkley for her coverage of the Bulldogs salary cap rorts. She was named the 2012 New South Wales (NSW) Journalist of the Year for her investigations into the fraudulent activities of Michael Williamson, the head of the Health Services Union and the business activities of former NSW Labor Minister, Eddie Obeid. McClymont is also the recipient of numerous other awards including six Kennedy Awards, the Australian Shareholders’ Association award for excellence in financial reporting (1992), The NSW Law Society’s Golden Quill Award for excellence in legal reporting (1990 and 1992), Australian Racing Writer of the Year (1995), Australian Sports Commission Media Award (2002). She also won the 2012 George Munster Award for Independent Journalism. In 2016 she was awarded the Australian Press Council’s Press Freedom Medal for her work as an investigative journalist. From 2015 to 2017, McClymont was chairman of the Walkley Advisory board and a director of the Walkley Foundation. In 2017, she was inducted into the Media Hall of Fame for her contribution to the industry. With her colleague Linton Besser, she has published He Who Must Be Obeid, which chronicles corruption in NSW. She graduated with a B.A. (Hons) from the University of Sydney and is currently serving a second term as a Fellow of the Senate of the university. Bruce Dorris is the President and Chief Executive Officer for the Association of Certified Fraud Examiners (ACFE). He also serves as an advisory member to the ACFE Board of Regents. Dorris has conducted anti-fraud training for the United Nations, the American Bankers Association, colleges and universities around the world, as well as with the FBI, GAO and other federal and state law enforcement agencies in the U.S. Dorris has been with the ACFE for 11 years, previously serving as Vice President and Program Director, and is proud to be involved in the continued growth and professional direction of the world’s largest anti-fraud organization. Prior to joining the ACFE, Dorris earned his Juris Doctor from the Paul M. Hebert Law Center at Louisiana State University in 1993 and is licensed to practice law in state and federal courts in Texas and Louisiana. He served as a prosecutor in Louisiana for 13 years, focusing primarily on financial crime investigations. Dom Blackshaw was a dedicated career police officer for 33 years with the Western Australia Police where he spent 26 years as a detective. Among his accomplishments Blackshaw specialized in complex fraud and corruption investigations as the officer in charge of the major fraud squad. He established the first Australian fraud "twinning program" with the Nigerian Economic and Financial Crimes Commission through the UK based Commonwealth Secretariat. Blackshaw also headed up the Kalgoorlie-based Gold-Stealing Detection Unit. He oversaw numerous criminal investigations into gold-related fraud and theft within the mining sector and implemented systems and processes designed to prevent industry losses. Since 2012, Blackshaw has been performing corporate governance and risk management roles within the Asia-Pacific mining sector with a focus on minimising fraud losses incurred by Australian-owned entities operating within Indonesia. Blackshaw has a bachelor’s degree in applied management and postgraduate qualifications in financial investigations and security management. He is a licensed investigator and Certified Fraud Examiner. He is also the president of the ACFE Perth Chapter. Roger Darvall-Stevens is the national head of fraud & forensic services, Australia, at RSM, and has more than 25 years of experience in forensic investigations and forensic accounting, fraud, bribery and corruption control – prevention, detection, response (as well as impropriety or improper conduct), related training (e.g., employee awareness, interview techniques, investigation response), forensic IT, compliance (including foreign bribery and corruption risk), and corporate security. Darvall-Stevens is well credentialed, being a licensed investigator in multiple locations across Australia and New Zealand, former police detective (areas include fraud, counterterrorism), a Certified Fraud Examiner and ACFE Regent Emeritus, Authorised Trainer for the CFE Exam Review Course in Australia, a previous Melbourne ACFE Chapter President, trained and practised in advanced interview techniques, and MBA and MA (Criminology) qualified. 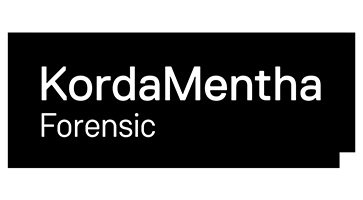 Prior to RSM, he was a partner in forensics for a Big 4 firm where he had been for 13 years, held similar roles in the private sector and a former police detective. He regularly presents at international and local conferences and seminars, and authors related articles and publications. Dr. Graeme Edwards is the Director of CYBERi Pty Ltd, a company that places focus on training, support and consultancy services to business on cybersecurity, cloud computing and incident response. Dr. Edwards has a doctorate of information technology. His theses focused on the investigation of cybercrime in a cloud-computing environment. He also has a master's of information technology, (security) and a bachelor's of business studies (information technology). He is also the President of the Brisbane chapter of the Association of Certified Fraud Examiners. Georgie Farrant is a partner in Baker McKenzie's Dispute Resolution team in Sydney and is the Australian Head of the Compliance and Investigations Team. Farrant practices in commercial disputes, including multi-jurisdictional disputes, fraud actions, civil and criminal actions relating to financial services and financial products, and internal investigations. 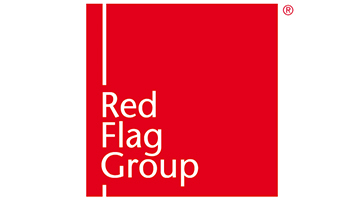 She also advises companies in relation to a range of compliance and regulatory issues including anti-corruption, anti-money laundering, whistleblowing and regulator investigations. She has more than 20 years of experience in disputes and compliance matters including working for a regulator and an in-house compliance team. 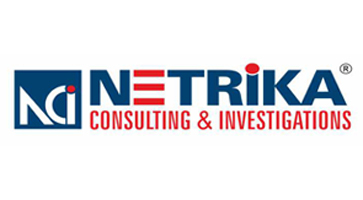 Rajiv Gupta is an author, speaker and subject matter expert in the field of forensic accounting and fraud prevention. 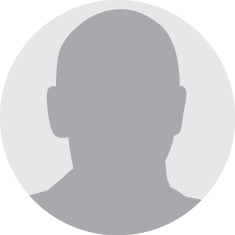 He has more than 15 years of professional experience in designing fraud prevention programs, forensic accounting, automation of data analytics, internal controls, risk assessment and SOX/internal audits. He is a Chartered Accountant, Certified Fraud Examiner, Certified in Controls Self-Assessment, Certified Information Systems Auditor, certified in COBIT v5 (F) and holds a diploma in information systems audit (ICAI). Currently he is working with Diageo India (United Spirits Ltd) as vice president and chief internal auditor. Prior to this, he has worked as head of internal controls for India & South West Asia at Coca-Cola and assurance manager with PwC in India and London. Tamsyn Harris is an experienced risk professional specializing in fraud and cybersecurity, having worked in the banking industry in Australia, New Zealand and UK. An active supporter of Women in Cyber initiatives as Chair of the Australian Women in Security Network, Harris is a passionate educator and collaborator across industry, government, payments, cyber and fraud. Tony Prior has a fraud risk management and financial crime career spanning more than 20 years. He’s the founder and current president of the ACFE Sydney Chapter. A CFE since 2001, he has both professional services consulting and corporate in-house experience. Prior was a twice-commendation Australian Federal Police agent, and for 12 years investigated fraud, money laundering and other crimes. He’s a director at AUSTRAC, Australia’s AML regulator and financial intelligence unit. He spent eight years with EY’s Fraud Investigation and Dispute Services. 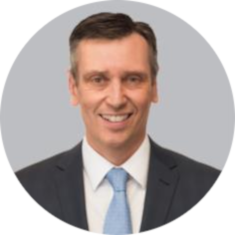 As head of fraud risk for AMP Limited, one of Australia's largest non-bank financial institutions, he led its fraud education, detection and investigation functions. Nicole Biskop is a multidisciplinary anti-fraud and financial crime professional with more than 10 years of experience in Europe and Australia. After receiving her master of science degree in criminology, she started her career with a Big 4 professional services firm in forensic services in the Netherlands. During her tenure with the firm she worked on international FCPA compliance projects assisting clients with electronic data reviews and conducting third-party due diligence on new and existing business partners worldwide. She also investigated fraud, conflicts of interest and other occupational misconduct across a range of industries in Europe with wider international exposure. Her passion for the fight against fraud and financial crime shows in her dedication to helping set up the ACFE Sydney Chapter in her role as secretary and currently in running the chapter as vice president. She enjoys using this as a platform for bringing together professionals from different disciplines and facilitating training and network opportunities. In her day job she works as a risk manager at the banking and financial services arm of an Australian financial institution focusing on fraud control and financial crime assurance. 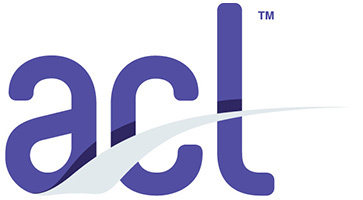 ACL delivers technology solutions that are transforming audit and risk management. Through a combination of software and expert content, ACL enables powerful internal controls that identify and mitigate risk, protect profits, and accelerate performance. ACL's integrated family of products—including our cloud-based governance, risk and compliance (GRC) solution and flagship data analytics products—combine all vital components of audit and risk, and are used seamlessly at all levels of the organization. Our actively engaged community of more than 14,000 customers around the globe—including 89% of the Fortune 500—tells our story best. 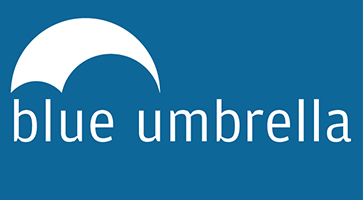 Blue Umbrella is a leading provider of cutting-edge third-party compliance and employment screening technologies. Combining research excellence with disruptive Regtech SaaS solutions, Blue Umbrella serves Fortune 500 companies, top tier investment banks, insurance companies, law firms and governments. With a global presence and a local focus, Blue Umbrella allows clients to increase the automation and efficiency of their internal processes while intimately understanding the backgrounds of their clients, third parties and employees. 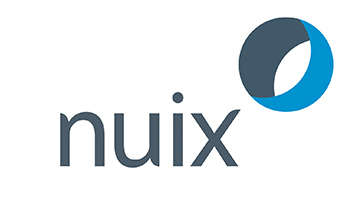 Nuix makes small work of big data volumes and complex file formats. Our solutions combine advanced technology with the extensive knowledge of our global team of industry experts. We bring data to life with clarity and intelligence to solve critical business problems, reduce crime, and secure and manage information. 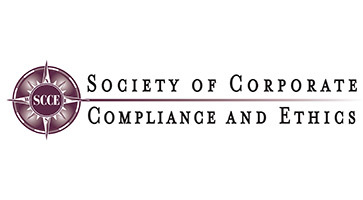 The Society of Corporate Compliance and Ethics (SCCE) is a non-profit, member-based organization for compliance professionals that is dedicated to improving the quality of corporate governance, compliance and ethics. Our events, products, and resources offer education for those interested in becoming certified in compliance and ethics, or keeping their compliance department up-to-date with the latest news. We serve our members by providing a monthly magazine and weekly e-newsletter to help manage current issues. We offer conferences that enable network building and learning best practices; and academies that provide intensive training in the essentials of managing a compliance and ethics program. Fraud Watch is the premier title reporting on fraud and money laundering in financial services. Providing a daily news service, it publishes contributed articles from industry experts; it reports extensively on the latest compliance requirements, laws and regulatory changes, and gives very wide coverage of the latest court cases, ongoing investigations and fraud threats. It reports on security issues, including data, PCI requirements, systems security, diagnostics and forensics including the cyber threat.